Welcome to Planet Depos, where finding a qualified court reporter in Singapore has never been easier. We have local experienced and professional Singapore court reporters providing the highest quality transcripts in every area of law, including intellectual property, pharmaceutical, environmental, construction, medical malpractice, labor and employment, securities and commercial litigation. Our local, highly skilled court reporters have decades of experience making the record under the auspices of various international bodies and rules. All of our deposition suites are outfitted with video conference equipment. With local legal videographers, Planet Depos makes videoconferencing in Singapore easy. Our conference locations are fully stocked with office supplies, refreshments, wireless internet and copy/fax machines. 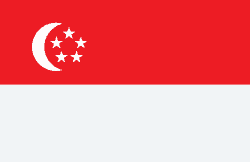 Permission from the government is not required for depositions of willing witnesses in Singapore. Depositions can be taken at any location. Make sure to note any specific language and/or dialect for the interpreter. Court reporters are not authorized to administer the oath in Singapore, so the oath will need to be stipulated on the record. Another option would be to apply to the court for a Commission to Administer Oaths..
U.S.-trained court reporters and videographers living in Hong Kong. Arbitration and Court Hearing coverage. Vetted interpreters with extensive deposition experience. On-the-ground assistance to handle exhibit printing, shredding, and other administrative needs. Singapore has excluded the application of Chapter II of the Hague Evidence Convention. 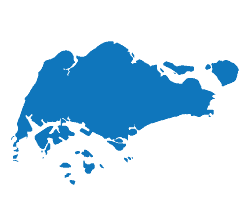 Check our deposition checklist for Singapore for more. Planet Depos offers cost-effective and reliable realtime, transcription and related services for arbitrations in Singapore. Planet Depos has convenient conference room locations around the world, including Singapore. Before planning your trip to Singapore, make sure you check out these Travel Tips.